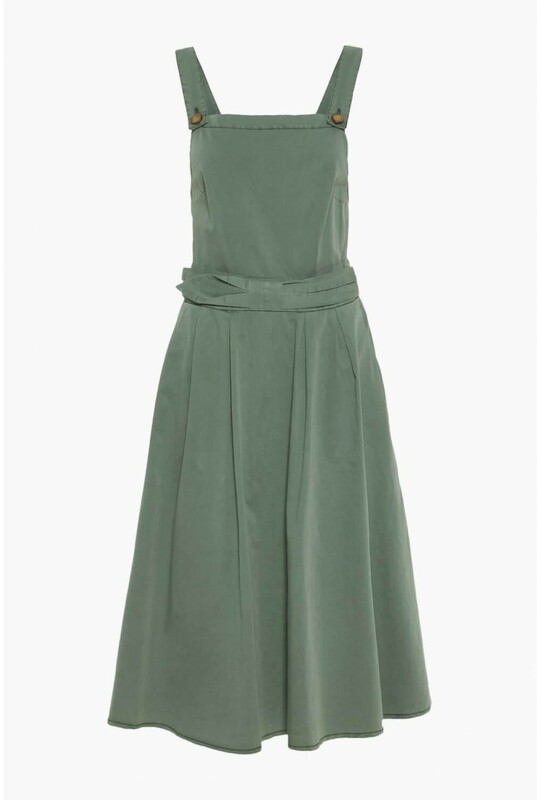 This midi dress is the perfect balance of utilitarian appeal and modern sophistication. 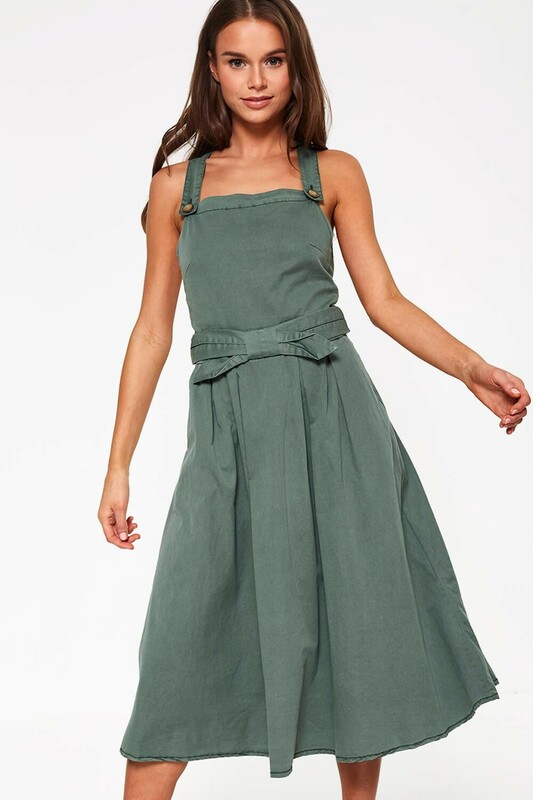 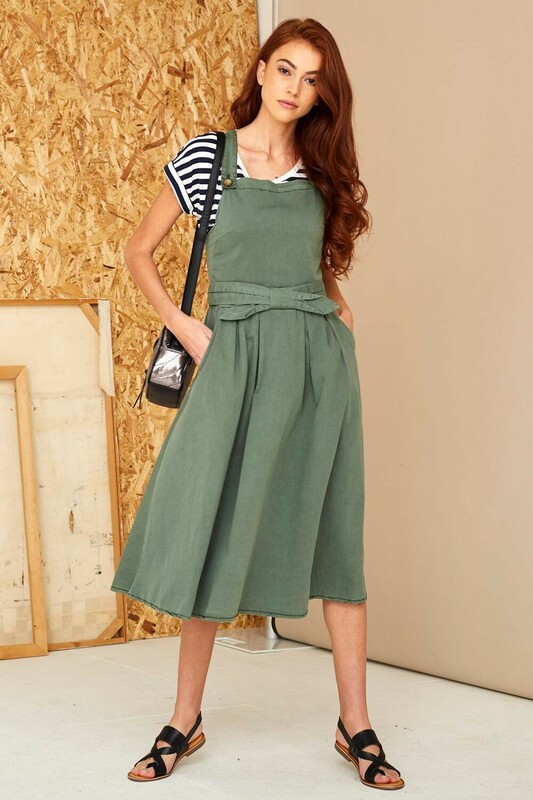 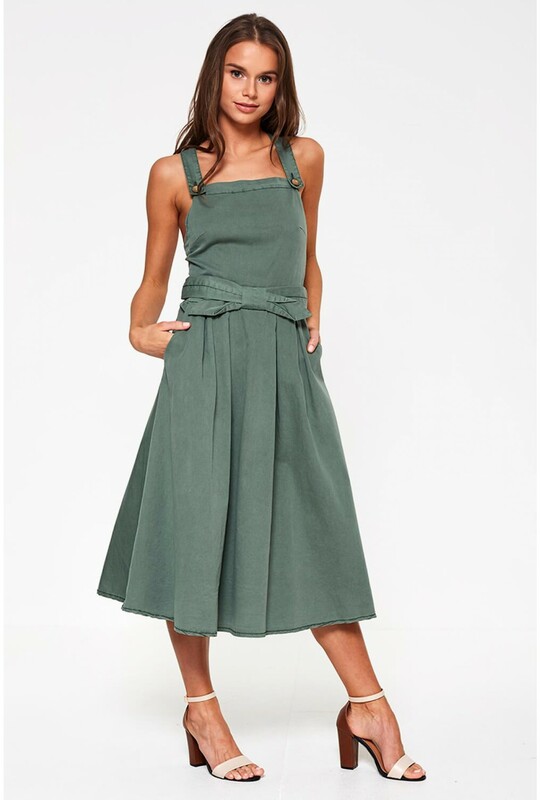 For added definition, this sleeveless dress is finished with bow-tie detail falling into an elegant skater style skirt. Team with a cropped t-shirt and sandals.